Hoarding can be a health hazard to the people who live In the house and even the people who come to visit. There are some people that like to collect stuff. Sometimes the amount of stuff that people collect ends up choking their home. It can fill every empty space and can become a hazard to anyone that is trying to live in the home. People who live like this are often called hoarders. They find it difficult to distinguish between what they need and what they do not need. They believe that all of the things they own are important and do not know what to do with the things that others consider trash. That is where our services come in. We have skilled professionals that can clean the trash out of a home that a hoarder is living it. We will work with the homeowner to make sure that the things that the homeowner needs will be saved. We are experts in recycling, reusing and reducing. That is the type of help that a hoarder cleanup needs. When a person hoards and has filled up their home with stuff, there can be many problems lying beneath the piles. Old appliances that have dangerous material in them, old furniture that is broken and no longer safe, and trash that has attracted pests and rodents can all be found in people’s home. We have the hoarding cleanup experts to handle all of these types of debris properly. We will clean out the home and make it safe for people to live in. Once all of the trash is collected, we will make sure that it is disposed of properly. Hazardous material will be properly packaged so it can be safely taken to the right place for permanent disposal. Hoarding cleanup is very important that we protect the environment when we remove the trash from a home. 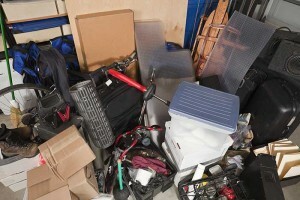 We are dedicated to doing the right things when it comes to hoarding cleanup waste disposal. All of our employees are trained hoarding cleanup professionals. They know how to do the job in a safe and efficient manner. If something does happen and there is damage or if someone is hurt on the job, we are fully licensed, bonded and insured so the homeowner will not have to worry. Our employees also understand the sensitive nature of hoarding cleanup and know what they are doing when dealing with people who may be considered hoarders or pack rats. We will listen to what they say as we are removing the trash from the home and will treat them with the respect that is needed to get the job done the right way. Setting an appointment for use of our hoarding cleanup services only requires a phone call. On the day of the appointment, we will call 15 to 30 minutes before we arrive. There is no need for additional surprises when trying to get rid of the trash. Our trash removal rates are also very affordable. It is much easier to remove all of the stuff that a hoarder collects by hiring a professional hoarding cleanup service instead of trying to do it yourself. We will get the work done the right way and in a timely fashion. There is no need to call anyone else.